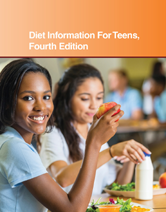 Diet Information for Teens, 4th Edition, provides information about healthy eating patterns. It discusses essential components of a well-constructed diet, explains the importance of major food groups in maintaining good health, and discusses dietary elements that may need to be limited. Chapter 29—Which Fats Are Which? Chapter 42—What's The Right Weight For My Height? Chapter 46—Should I Gain Weight?